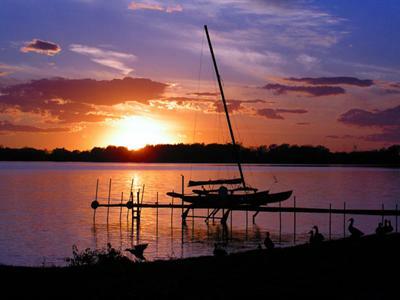 The Sunrise Campground prides itself on making your stay feel like home. Provided on site are restrooms (including handicapped accessible facilities) and laundry facilities. The Sunrise campground also has ice and wood available at the grounds to help you spend your time camping not running down supplies. 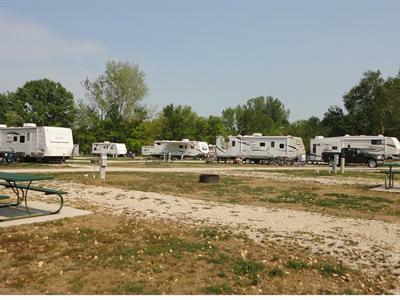 For more information on the facilities available at the Sunrise Campground please call (712)732-8023 or email at campground@stormlake.org. A large group indoor meeting hall is available next door at the Sunrise Pointe Golf Course. The facility is complete with a kitchen, handicapped accessible restrooms and a wonderful view of the lake with a capacity for 300 people. For more information on renting this facility call the Sunrise Pointe Golf Course at 712-732-8025. 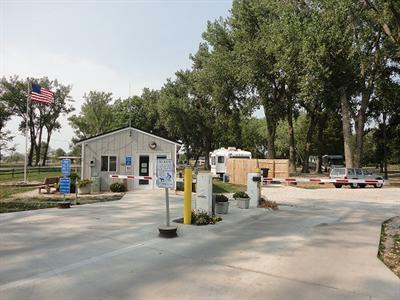 A large open shelter is located across from the Sunrise Campground and is available for rent from the City of Storm Lake. Two rental options area available daily. Reservations are taken a year in advance and can be made by contacting the City of Storm Lake at 712-732-8000 or emailing cityhall@stormlake.org. 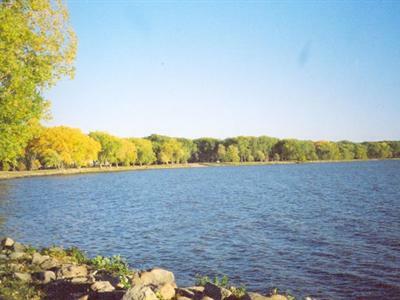 This facility is great for group picnics and is also located next to the lake. Sunrise Campground has facilities onsite for washing and drying clothing. Coin operated machines are available in the restroom facility.